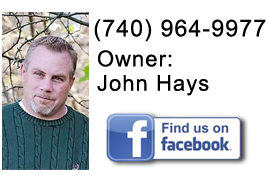 Hays Home Improvement has over 20 years, experience in kitchen & bath remodeling. We understand that many homes kitchens are more than just a place to cook food; it can be one of the main gathering places. Whether it is used for homework, paying bills, or just talking about the day’s event, kitchens have become one of the most popular rooms of a home. With so many layout styles, colors, and cabinet options in present day kitchens, it can become overwhelming to make a decision. Countertops, flooring, lighting fixtures; where to start? With an upgrade or a full kitchen remodel, our design team will spend what ever time is necessary in drawing up plans to accomplish the upcoming project. Once we get a real feel for our clients dream kitchen, we can give them ideas and recommendations on what might be a good fit for them. Let Hays Home Improvement bring your dream kitchen to life! 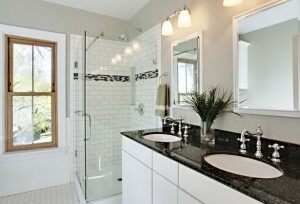 Are you looking to add a bath, remodel your existing bathroom; or just to make a few changes? Hays Home Improvement can help. We can work with any budget to create a bathroom that will meet your expectations. Our design team can look at your current space, discuss your ideas, and then put a bathroom design in place that according to your vision. With over 20 years in the business, we have seen just about everything and may be able to make a suggestion that will be a perfect fit for you. The choices for bathrooms today go above and beyond the simple toilet and bathtub. There are smart toilets, heated floors, spa tubs, shower rain heads, numerous lighting and water fixtures, and much more. These choices can actually make your bathroom area have character. Hays Home Improvement believes in providing quality craftsmanship and complete customer satisfaction to each and every client we have. Have a mold issue? Our first step will be to determine what is causing the mold issue, and then fix the root of the problem. We do not just replace the drywall without fixing the problem. Call us today so our team can make your dream a reality!